No one knows what the stock market is going to do, but if you want to get an informed sense of what it might do, it helps to understand what it has done. And in the debate about where we’re headed next, one common mistake is confining observations of market history to recent trends instead of the many generations of market data that are now available. Hussman’s reputation has been clobbered of late because he missed the market turn in 2009 and then acted on his more recent concern about an impending crash several years too early. 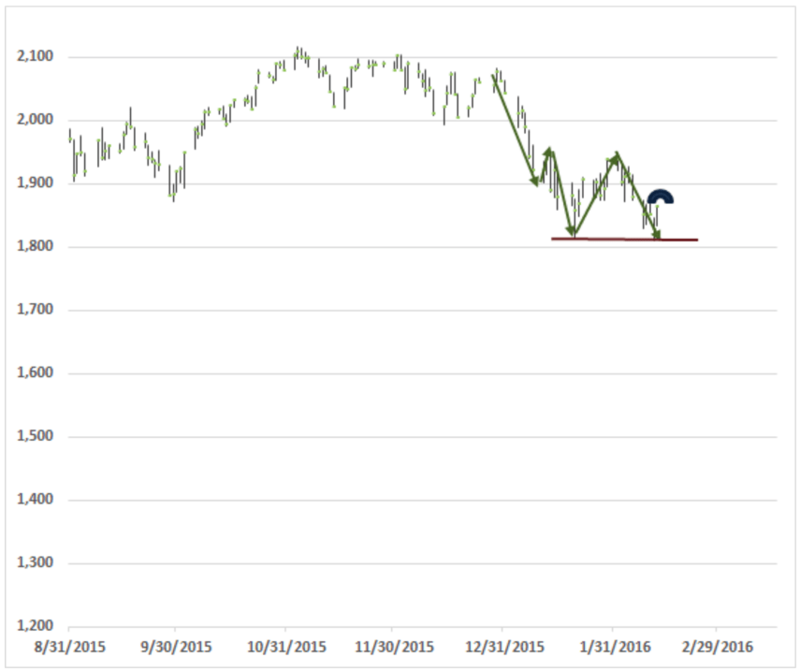 As the market has struggled over the past 18 months, however, Hussman’s concerns have been partially vindicated. And those hoping that the recent 15% drop from the peak was just a little bobble in a great new bull market won’t like where Hussman thinks we’re headed next. 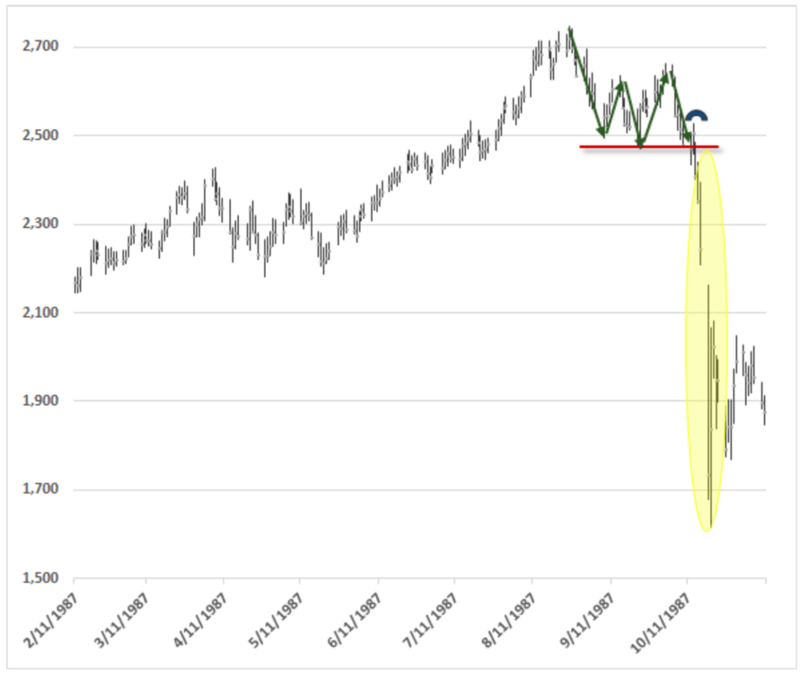 Hussman’s key observation about that chart — and the charts of many other market crashes in history, the most recent two of which he has correctly called in advance (2000 and 2007) — is that market crashes generally follow the same pattern. Second, crashes do not just happen suddenly — for years everything’s great and then one day the market just falls out of the sky. Rather, crashes develop over many months. And the “crash” itself — the period of massive, near-vertical market losses — generally starts after the market is already down about 15%. That’s the insight to note in the chart above. 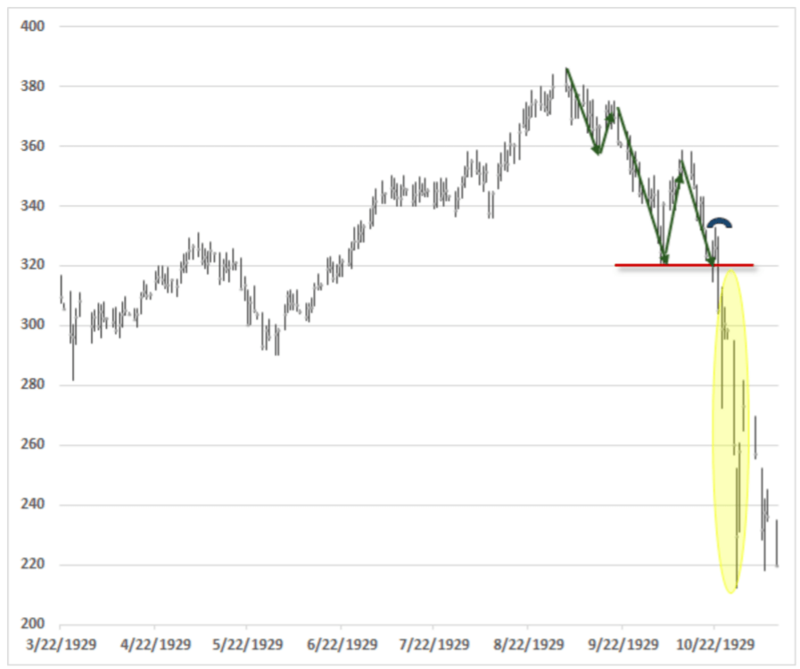 And because one observation is rarely persuasive, here’s another Hussman chart, this one showing the crash in 1987. Same pattern. Down about 10% to 20% from the top, some failed recoveries, and then, blam. And, for good measure, here are charts of the crashes in 2000 and 2007. Same pattern. A general peaking and “rolling over” for many months, followed by a 10% to 20% drop, followed by some stabilization and recovery, followed by a mega-crash. But anyone who’s feeling comfortable after a strong week in the markets should at least understand that: 1. The macro environment most conducive to crashes is still in place (overvaluation + increasing risk aversion) and 2. The way the market is behaving now is exactly the way it behaved before the biggest crashes in history. So, neither Hussman, nor I, nor you should be surprised if the market keeps on dropping and doesn’t bottom until it’s down 50% or more from the peak. The “worst-case scenario,” meanwhile, would take us down 75%.